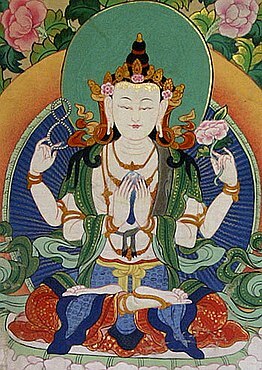 One of the central bodhisattva figures of Mahayana and Vajrayana Buddhism is Avalokitesvara (Kannon in Japanese, Chenrizig in Tibetan). This archetype of non-dual compassion is an inspiration, but we need to learn how to cultivate such compassion within our own circumstances. Lojong, or mind training, is one particular method of developing our own selfless potential and it is central to Himalayan Buddhism. The practice was brought to Tibet by the Bengali meditation master Atiśa in the 11th Century and later organized into seven main points and fifty-nine slogans by Geshe Chekawa. The lojong slogans are designed to help us shift allegiance from the safe but limiting world of ego to the challenging and vast possibilities of Buddha nature. Lojong practice is a powerful method of opening the heart. By means of mind training, we can begin to work directly with the fear and aggression that undermine our ability to act with compassion and effectiveness. 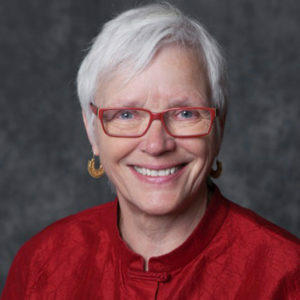 Author, editor and dharma teacher Judy Lief invites us to consider this practice as a beneficial companion along any spiritual journey. Although associated with Tibetan Buddhism, lojong belongs to anyone with curiosity, openness, and an aspiration to be of benefit to all beings.